As a Province, we will be facing many challenges both in the Philippine Church and in the global Church. The growing challenge to confront is the emerging “internationalization” of the Church as a whole, not anymore from our biased dependency on, nor from the biased positioning of the “European Church,” but more from a worldwide “internationalization” of our Church. Ten years after having been elevated into a Province, we received the plan to think about “restructuring and revitalization” in our Order, an emerging trend among religious institutes in the 2000’s: fusing, unifying, and re-organizing many Provinces into a single entity. In the Order, we were able to fuse the eight Provinces into four–but only after the two General Chapters (i.e., of 2010 and 2016). It took us time to discern the gaps of the birthing of “restructuring” of some of our Provinces. 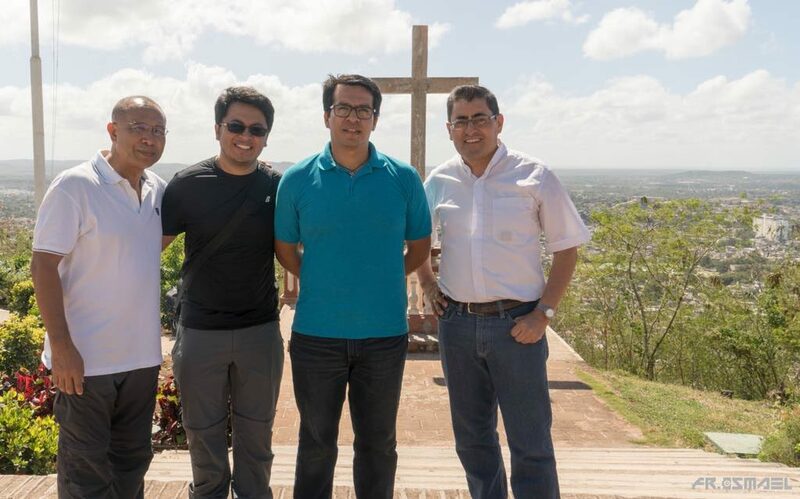 Recoletos de Cuba, a community composed of religious coming from different Provinces: Fray Joel Naranja, from Province of St. Ezekiel Moreno, Fray Ismael Xuruc, from Province of Candelaria, Fray Noe Servin from Province of San Nicolas and Fray Jairo Gordillo, from Province of Candelaria. Embracing “independence” is embracing our cultural identity inseparable from our religious consecration. Among our forebears, there were some who insisted though they earlier failed, in managing our institutional structure as an all-Filipino entity; they did not win the battle, but they had gloriously fought a good fight. It was the call of the moment and, at the same time, a projection of what would become in the future: our being a Province now. What could have been an experience of embracing our religious consecration beyond culture failed to be articulated and defined by the influence of culture-centered sense of entitlement. Our being Christian does not have a class distinction, neither our being religious. Our many experiences should make us embrace our culture humbly and be able to share our own with others; empower others without putting limits to their own identity; and make the Church, a church for others – with shared ministry. Not exclusive, but inclusive. 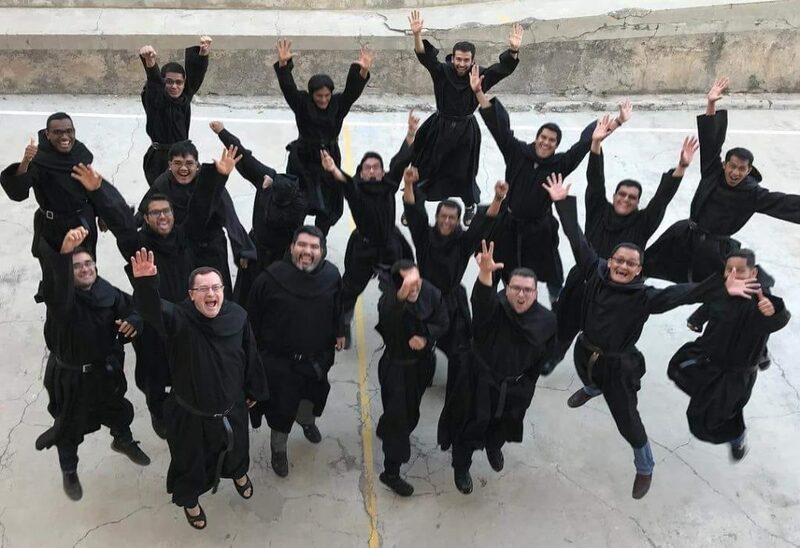 First batch of common Mes de Preparacion in Spain where friars from different Provinces were gathered to prepare for their Solemn Profession. In a not-so-distant future, without the many juridical barriers of our “Provincial system” of governance, the Order would be able to practically embrace a functional intra-cultural collective governance. With the experience of our “challenged” communities and Provinces in Europe, existing yet challenged by vocation and personnel crises, we are at the threshold of making a singular collective congregation – diffusing Provincial barriers; and thereby making the religious participate in co-creative spaces of assignment. These are real counter-communitarian sub-cultures embraced institutionally, and even by those in the leadership. Really emerging around this time are attempts to deconstruct the existing crisis among religious institutes i.e., from crisis of vocations to managing of resources. Internally, in the Augustinian Family, we need to try to re-think of a mythical yet possible “Second Great Union” concept of consolidating the richness of our ministries, resources and diverse cultural identities, and, in a way, to positively identify the “multicultural transformation”—according to PopeFrancis—of religious life as challenged now and in the near future. Tracing our beginnings from within the Augustinian family, to the founding moment during the Chapter of Toledo in 1588, to the arrival of the Augustinian Recollect missionaries in the Philippines in 1606 (plus the many succeeding missionary journeys bearing fruits of sacrifices, holiness and martyrdom among our missionaries), to the many attempts of “Filipinization” until November 28, 1998 when we received the official decree of establishment as the Province of St. Ezekiel Moreno… In all these, the Holy Spirit continuously inspires and accompanies our grace-filled existence, as Pope Francis said: “[H]e never tires of being creative! Now, with the new forms of consecrated life, he is truly creative, with charisms…. It is interesting: he is the Author of Diversity, but at the same time the Creator of Unity. This is the Holy Spirit. And with this diversity of charisms and many other things, he creates the unity of the Body of Christ, and also the unity of consecrated life. And this, too, is a challenge” (Pope Francis, May 4, 2018). After 20 years, and counting for the coming 25th year, we anchor our being a Province in our preparation to embrace the many creative challenges of the global church. This possibly includes re-thinking our ministries (now active in Sierra Leone, Saipan and Indonesia), divesting ourselves of our securities and insecurities, cleansing our own personal and institutional systems, embracing real communion from within and from among our people, and again, being responsive to the challenge and call of the Holy Spirit. Let us be creators of communion. 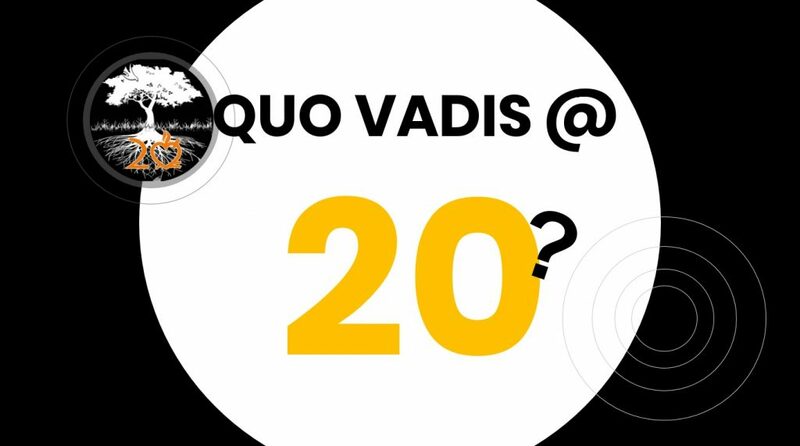 (Photo below): “Quo vadis?” This was the question asked by Fray Dionisio Selma, OAR, during his address to the religious gathered for the 20th founding anniversary of the Province.